You pass by wall plates every day and pay them no mind. They do a good job holding switches, and the occasional cable or phone jack. 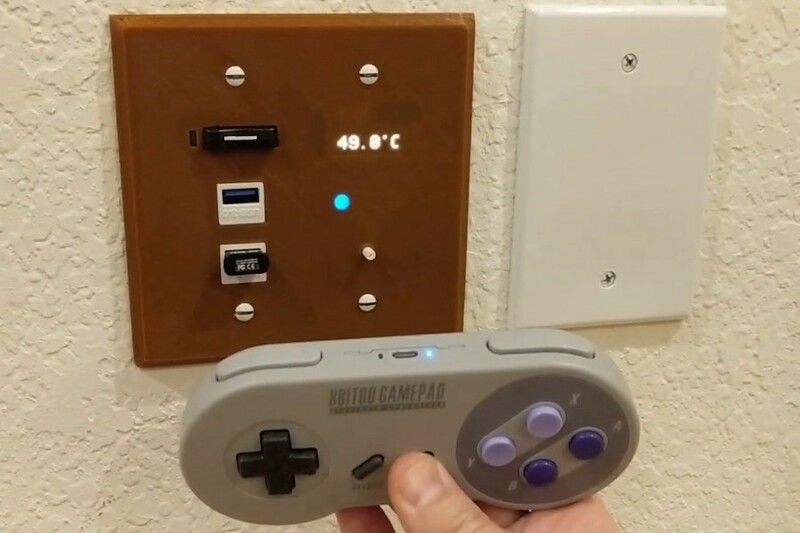 In the case of creator nullgel interactive’s house, however, one conceals a full RetroPie setup inside. While this may seem like a strange use for such a thing — as seen in the video below — concealing the Pi and a few accessories inside the wall actually makes a lot of sense. Although the messy internals of the project are safely hidden away, the custom wall plate allows access to a micro-SD card reader along with two USB ports. A small OLED display is mounted on the backside of the plate, along with two LED Bluetooth indicators. The plate is printed so that light can shine through, and a pot is also available to further turn down the LEDs if you so desire. As clever as that is, the device has one more trick up its sleeve, in that the Pi’s run pen is tied to ground through a reed switch. This allows nullgel to reset the system when needed without unscrewing anything or having an external button, meaning that people (i.e. kids) won’t reset the system accidentally. The print file to make your own is available here if you’d like to duplicate the effort or make something similar. 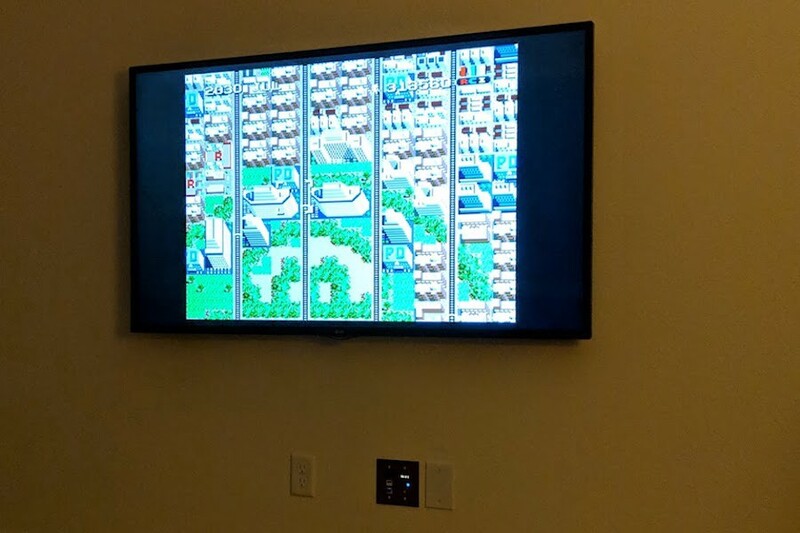 This Outlet Mount Displays [Hides] Your RetroPie Setup in Style was originally published in Hackster Blog on Medium, where people are continuing the conversation by highlighting and responding to this story.